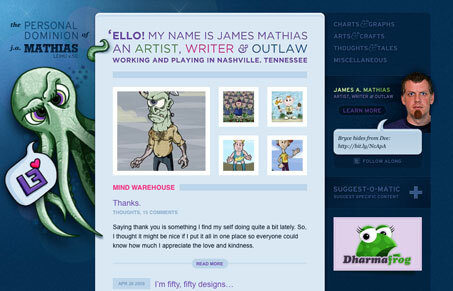 Leihu.com is the website/home of James Mathias, there’s a ton of little interesting design elements on this website. It is very well executed in all of it’s detail work and the layout is tight and pixel perfect. The thing I love most about this website is that there is a lot of little things that if you spend time on the site you just ‘discover’.